BBC science fiction drama Doctor Who celebrates its 50th anniversary this weekend, but the show has suffered a turbulent half-century. Alex Brownsell examines what lessons marketers can glean from its enduring brand popularity. The hype has been building for months, if not years. Tomorrow evening, viewers will finally get to see current 'Doctor Who' star Matt Smith join predecessor David Tennant and John Hurt in a one-off drama marking the climax of the show’s fiftieth anniversary celebrations. Over the past eight years, Doctor Who has established itself as one of the BBC’s top three commercial properties, along with 'Top Gear' and 'Strictly Come Dancing'. The broadcaster felt the anniversary was such an important event, it decided to use 'Doctor Who' as a "Trojan horse" to introduce an entirely new blueprint for TV programme marketing, embracing digital and social. 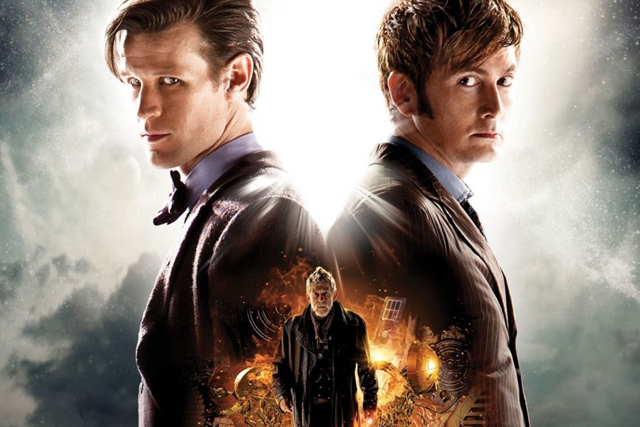 The BBC used Doctor Who as a "Trojan horse" to introduce a new blueprint for marketing, embracing digital and social. But the picture has not always been so rosy for the good doctor. From its first broadcast in 1963, with William Hartnell in the lead role, the show quickly established a huge following. Successive actors were warmly embraced by audiences, leading to the show’s zenith in the 70s with the mercurial Tom Baker donning his famous long scarf. Yet, as US franchises such as 'Star Wars' raised viewers’ expectations, 'Doctor Who' began to struggle. It was increasingly unloved by BBC bosses and ridiculed by cynical audiences. The series was finally cancelled in 1989 and, bar a single US-financed TV movie in 1996, would not return to UK screens until 2005 as part of a reboot led by writer Russell T Davies. How was the show able to return with such success? Here are five brand lessons marketers can learn from the ups and downs of the Time Lord. Most people over the age of 30 can remember watching Doctor Who as a child and laughing at the dodgy set designs and unconvincing monsters. This caused reputational damage it has taken the show years to recover from. "The BBC underinvested in the Doctor Who brand for years, meaning poor scripts, wobbly sets and a loss of fan support," says RSA chief marketing officer Peter Markey, a keen Doctor Who viewer. "Viewers switched off because the programme had become irrelevant, lost it ways and lost its connection with its fans - a sombre lesson for any brand." For years the BBC felt uneasy about the passion of the so-called "Whovian" community, seeing them as geeks and weirdos. But these very same geeks, including modern show-runners Davies and Steven Moffat, kept the show alive in the 90s with officially-sanctioned fan fiction, paving the road for its return in 2005. "True fans are so involved in your brand that they feel part of what's going on and want to invest their time and energy behind your brand. The BBC have really tapped into and understood now how important the fan base is," adds Markey. To build up anticipation ahead the fiftieth anniversary special, ‘The Day of the Doctor’, the BBC recruited digitally-led brand consultancy ZAG to help devise a new approach to programme marketing. The agency’s senior strategist, Aran Potkin, says there was a "strategic impetus" at the BBC to focus on digital and social media channels, leading to a campaign based around the hashtag #SaveTheDay. Fans have been encouraged to use the hashtag to unlock treats and teaser clips, and in doing so have spread the word to those less aware of the show’s upcoming milestone. Know your brand, know your audience, and stay relevant – these are all vital lessons we can learn from Doctor Who. This may sound odd for a show famed for its small budgets, but its success in recent years has arisen from the BBC’s greater willingness to push the envelope with Doctor Who. With its recent #SaveTheDay campaign, agency ZAG was set the challenge of inciting a million mentions of the anniversary on social channels; so far it has already passed 1.5m mentions. "There is something about Doctor Who, a special excitement internationally. Around 80% of British people have watched it at some stage, and this has been a big opportunity to extend that," says Potkin. Amid the internal politics of the BBC in the 80s and 90s, it was forgotten that 'Doctor Who' was a unique and powerful brand. Bosses expected its 2005 reboot to fail, but instead it proved that, with the right people running the brand and the correct level of investment, strong brands can always return to former glories. "It has kept true to its core, simple idea - a time traveller who ran away from his home planet and travels in space and time," says Markey. "Know your brand, know your audience, and stay relevant – these are all vital lessons we can learn from 'Doctor Who'."